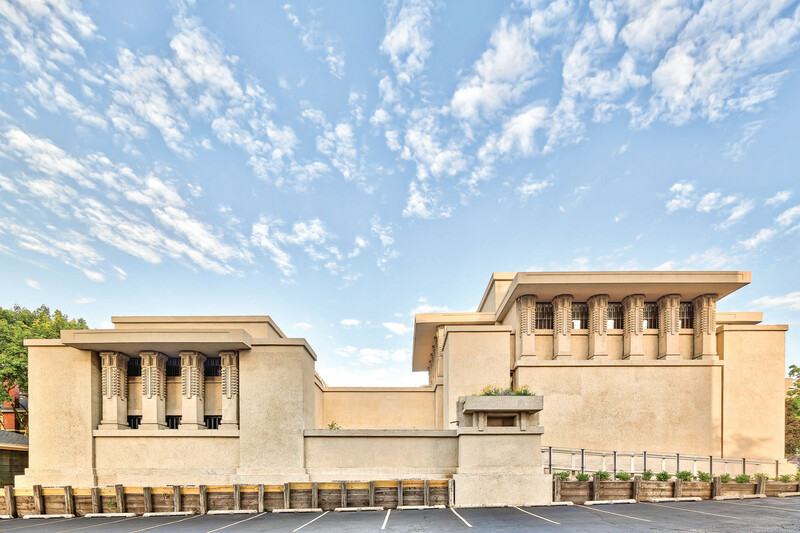 Frank Lloyd Wright’s 1908 Unity Temple in Oak Park, IL, has been repaired, restored and updated by Harboe Architects. 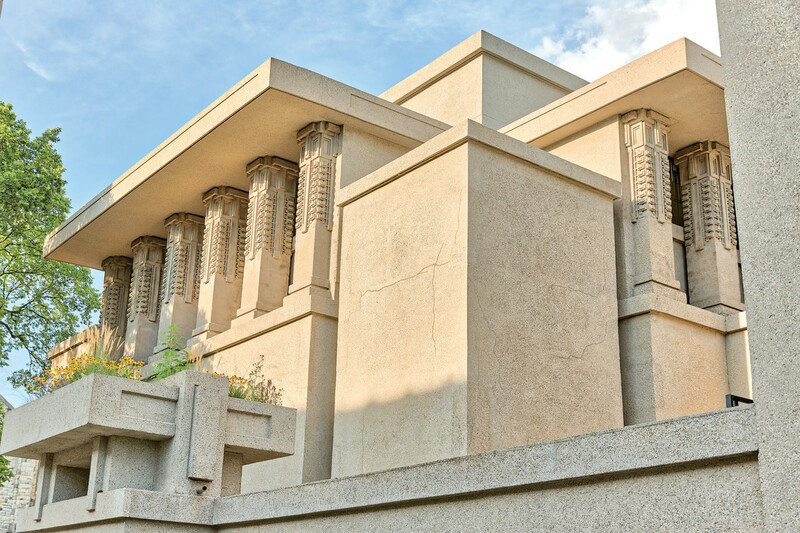 Frank Lloyd Wright’s 1908 Unity Temple in Oak Park, IL, is considered a masterpiece of modern architecture. The 8,000-sq.ft. structure is significant not only for its design but also because it is one of the first poured-in-place concrete buildings. Until this point, poured-in-place concrete had been used primarily for commercial buildings. Time and deferred maintenance had taken its toll on Unity Temple. In 2000, the Landmarks Preservation Council of Illinois (now Landmarks Illinois) placed it on the state’s list of Ten Most Endangered Buildings. In 2009 a piece of the ceiling fell down near the pulpit. 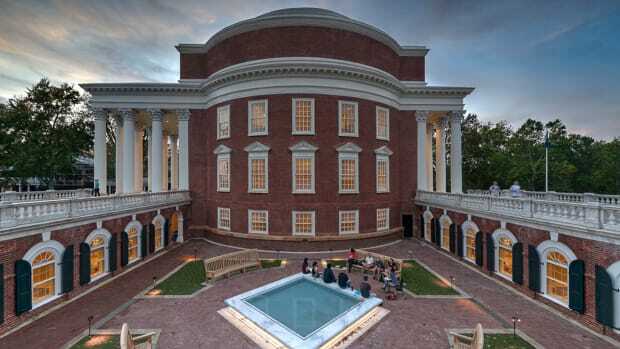 Now, though, the historic temple is looking and operating better than ever, thanks to a four-year, $25-million restoration led by Harboe Architects. 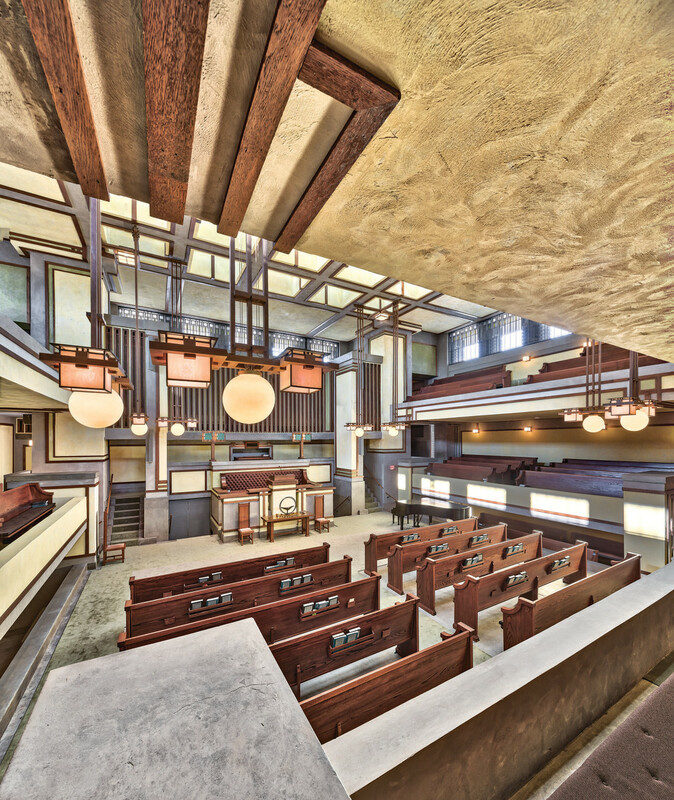 The restored interior once again reflects Frank Lloyd Wright’s original design. Most of the original woodwork was kept. It was removed, restored and reinstalled. 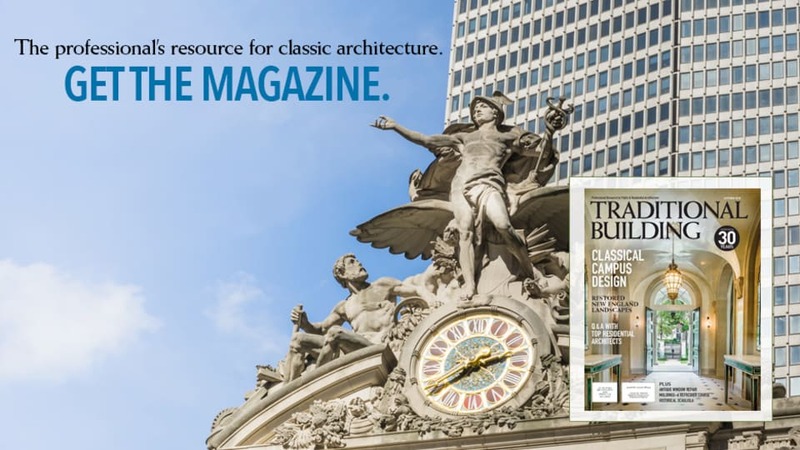 “I got involved with Unity Temple around 2000 when they were doing work on the overhangs,” says T. Gunny Harboe of Harboe Architects. “I was working on matching the concrete.” At the time, he was with McClier (now part of AECOM). He was then engaged to do a preservation master plan, which was completed in 2006 and was used as a guide for the restoration project. 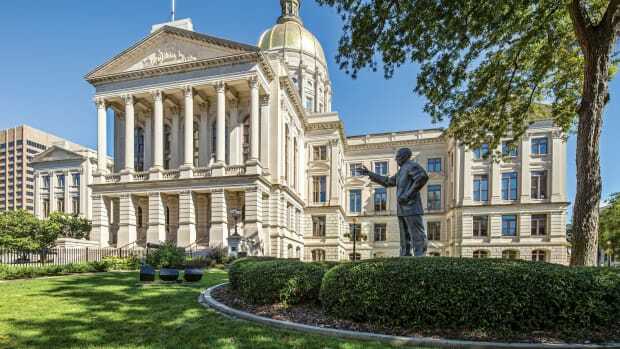 The work involved three major components—the exterior, including the concrete walls, the roof and the chimney; climate control and upgrading the MEP systems; and the interior, including art glass, plaster, paint finishes, floors, lighting and oak trim. The project was launched when the Alphawood Foundation donated $10 million in 2013 and then the Unity Temple Unitarian Universalist congregation raised another $1.75 million. 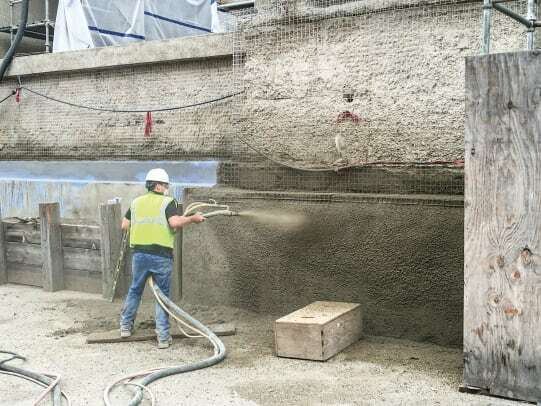 On the exterior, the challenge was to match and repair the shotcrete that had been added in the 1970s which matched the original concrete. This material is a mixture of concrete, sand and pebbles. The original appearance was restored in the interior and all systems were updated. The design team conducted a long series of mock-ups using 2x2-ft. concrete pieces, and “we finally got close enough to do a sample in the wall,” says Harboe, who had launched his own firm in 2006. Then the exterior work could begin. “The sons of the man who did the work in the 1970s did the work for us,” he adds. The exterior work also included new roofing on the 20 flat roofs as well as enlarged drains and chimney repair. 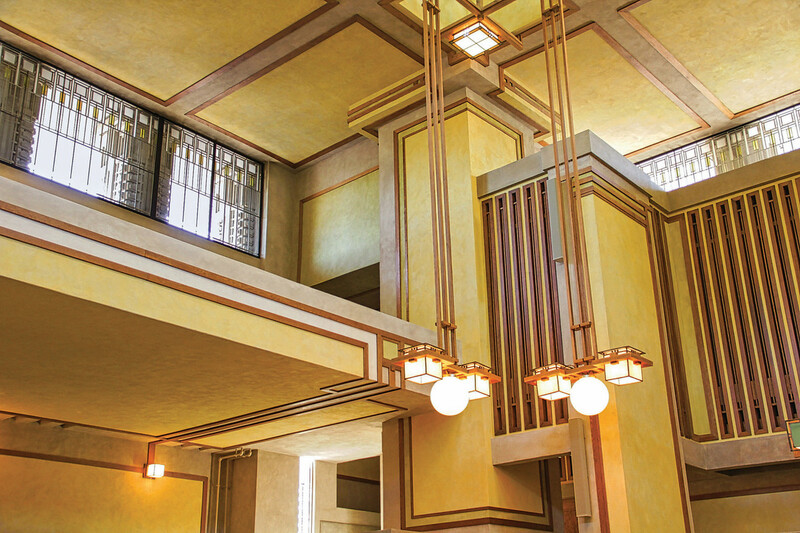 On the interior, the goal was to restore Frank Lloyd Wright’s original appearance, including his colors, and to upgrade all systems. 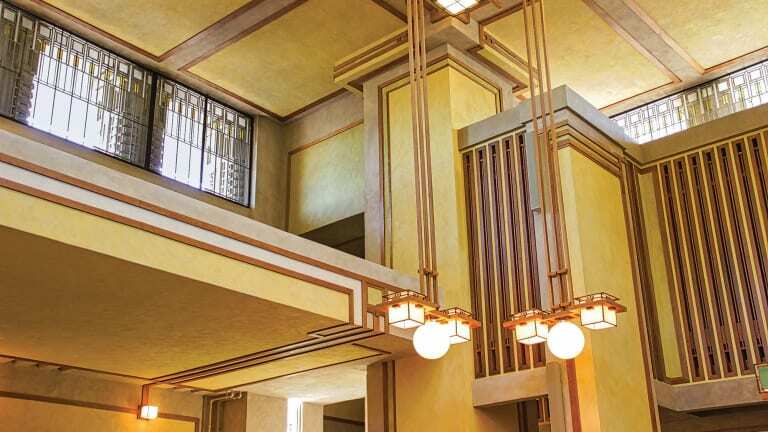 Wright had divided the building into specific spaces—a foyer, the Unity Temple and the Unity House, all bathed in natural light from laylights and clerestory windows. Using historic photographs and microscopic paint analysis conducted by Building Conservation Associates (BCA), the design team investigated how to remove paint on the interior wall and return them to the original condition. The second alternative was to overpaint yet again with paint that was a closer match to the effect of original. Rewiring the temple involved digging shallow trenches in the concrete walls, then grouting them back and covering them with new plaster. “Another reason we went with the skim coat treatment was because of the buried conduit. We had to repack it,” Harboe states. “It was quite involved.” Mechanical systems were also inserted into the four hollow columns that support the building. Another part of the interior work was the restoration of all of the art glass, which features green, brown and yellow geometric patterns designed by Frank Lloyd Wright. “We took this opportunity to completely restore everything correctly,” Harboe explains. This included all of the windows with the exception of a recently restored slot windows and the interior windows between the minister’s office and Unity House. “All of the others were fully re-camed, while retaining the original glass where possible,” he says. This work was done by Judson Studios with consulting by Julie Sloan, an art-glass specialist. All 25 of the laylights (each is about 12 sq.ft. in size) were removed by Judson, shipped to California and repaired in the studio. Including the light fixtures, there are 168 panels of art glass made up of many thousands of pieces of glass, Harboe points out. Most (over 95%) of the woodwork was original. It was removed, cleaned, refinished and re-installed. And the concrete and magnesite flooring was in fairly good condition, says Harboe. Heritage Restoration & Design restored the woodwork and floors were stripped and cleaned by Berglund Construction, the general contractor for the project. 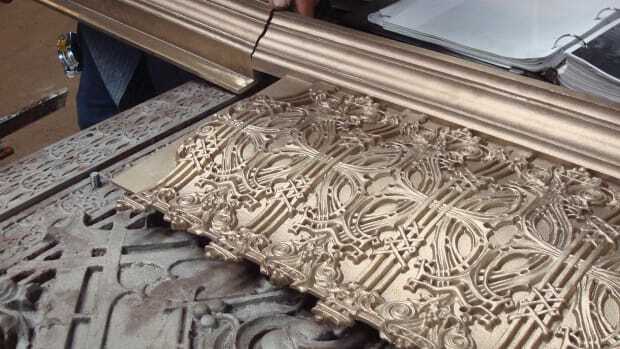 Working on the Temple for two years, Heritage disassembled and refinished the pews on four floors and also restored miles of decorative wood trim for the ceilings, walls and windows. Each piece was stripped, cleaned and refinished back to its original appearance. 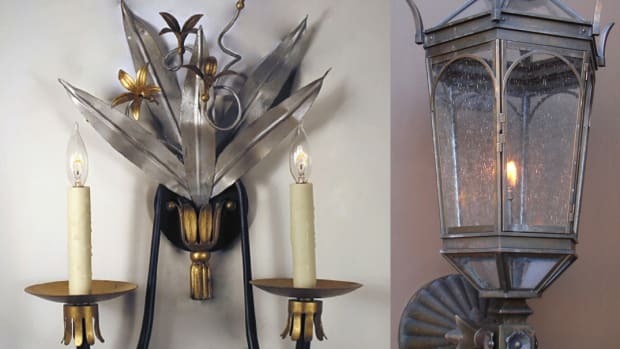 In addition, the firm removed and restored wooden light fixtures, and created replicas where needed. Several dozen doors and door jambs were also restored to “like new” condition. Another significant addition to the building was the geothermal system that is used for both heating and cooling. It incorporates nine wells that reach 500 ft. below ground. This is the first time that the temple has had air conditioning. New lighting technology was added throughout, including theatrical lighting at request of congregation. After many years of discussion, planning and fund raising and then the construction, Frank Lloyd Wright’s Unity Temple is once again as beautiful as it was in 1908. In addition, the new systems will allow it to serve the congregation for at least another 100 years.